Three years to the day after a 19-year-old man was shot and killed aboard a BART train by another passenger, transit agency police are disclosing new hints about the suspect's identity. Carlos Funez-Romero was shot early on the evening of Jan. 9, 2016, aboard a San Francisco-bound train that was stopped at the West Oakland Station. 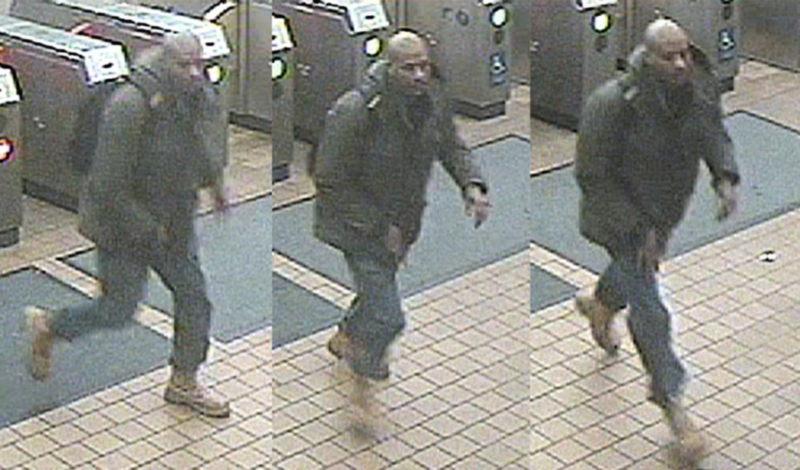 His attacker got off the train and departed the station before police arrived. BART police have described the suspect as a black male, 6’0” to 6’4” tall, who at the time of the shooting sported a bald-shaved/or close-cut hair style, slim build, and was wearing a green hooded jacket with beige, construction-style boots. In an announcement Wednesday, BART police said they've developed new information about the suspect's identity. They say they believe he has "strong ties" to the city of Antioch, that his name is Matty and that his father's name is Vic or Victor. “We are encouraged by the recent progress we’ve been able to make and are fully committed to bringing this suspect to justice,” BART Police Chief Carlos Rojas said in a statement released before a media briefing. The agency announced that a reward for information leading to the suspect's arrest has been increased from $10,000 to $25,000. Past reports have said Funez-Romero and the unknown assailant argued, both before boarding the train at Pittsburg-Bay Point and during the ride to Oakland. When the train arrived at West Oakland, witnesses said, the suspect took out a handgun and shot Funez-Romero several times. The incident proved to be a watershed moment for security measures on BART after the San Francisco Chronicle reported, and the agency confirmed, that most of what appeared to be surveillance cameras on the system's trains were actually dummy devices. After that disclosure, BART retrofitted all of its train cars with working security cameras. The newly installed devices, along with surveillance cameras on platforms and elsewhere on BART property, were credited last year with helping investigators quickly identify and arrest the suspect in the MacArthur Station killing of Nia Wilson, 18. That suspect, John Lee Cowell, faces murder charges. Legal proceedings are currently on hold as court-appointed psychiatrists assess whether Cowell is competent to stand trial.